Why did the silver cross the road? There’s a zebra crossing on a busy Mumbai street that runs right into an elevated divider. I never noticed it before… not before I returned from a month-long trip to Europe. For the first time I wondered, doesn’t the zebra crossing need to lead pedestrians to the opposite side of the road? 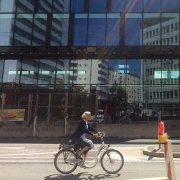 When I arrived in Munich, Germany, I was impressed by the mobility of the silvers there as much as their stylish silver locks. They were everywhere—riding cycles, crossing streets and wheeling themselves into trains; sometimes alone, sometimes in pairs, but always unafraid of being run over by traffic. Why would they be, when it was the uncanny habit of motorists to come to a halt as pedestrians or cyclists approached—even from several metres afar? It was in my pedestrian instinct to stop for cars to pass, but it was in theirs to stop for me to pass. So for my first few days there, at unmarked intersections—I hate to say it, but—I was at an impasse! Say what you will about the serious, sober, not-so-sociable Germans, when it comes to the streets, they possess a gentle roadside manner. And that, more than the impeccable infrastructure, is what makes the place so accessible to its silvers. But let us spend a moment on the infrastructure, shall we? Silvers on cycles, pushing walkers with wheels and riding on wheelchairs could access the streets, malls and all the various modes of public transport with considerable ease. Right from the innards of the countryside to the centres of the cities, the right of way belongs to the pedestrian, more so if you are pushing a tram or riding a wheelchair. 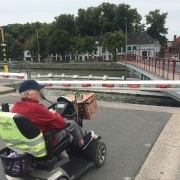 And where there is a pedestrian walkway, which is almost everywhere, there is always a silver in a motorised wheelchair wheeling by you, often on their own. As I hopped, skipped and jumped across countries, I realised this was a rather ‘EU-niversal’ feature. Across the countries, silvers were out and about, pulling the ubiquitous foldable trolley shopping bag that sometimes doubled up as a little seat. Over in Vienna, Austria, which was a livelier city, I would see tired silvers put the brakes on their trolleys and rest their legs awhile before carrying on. I watched amazed as silvers unabashedly rode the subway, tram, bus and train, their trolley, walking stick or wheelchair in tow. Almost nothing was inaccessible to them; and when it was, the system found a way around it. 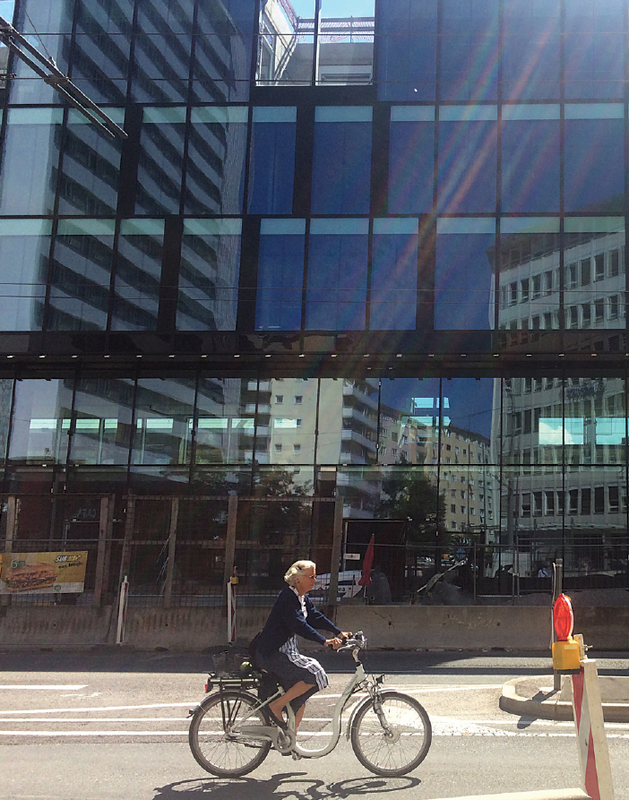 At a tram stop in Vienna, for instance, the tram driver made his way to the side to attach a dismantlable ramp for a lone wheelchairbound silver to get on. Granted, all these provisions are possible because of the scanty populations they have to work for. While it was all wonderful to watch, there was one anomaly that caught my Indian eye: the silvers were almost always alone. Whether it was at the grocery store or while they were on their knees, tending to their flower beds, silvers were on their own or with their partners. Even as I biked through the Wachau valley in Austria, for long kilometres along the Danube, the silvers I encountered were on their bikes, sure, but also by themselves. When my friend and I took a little break on a closed-off staircase during our hike up the Kahlenberg hill in Vienna, we were so sure only fellow youngsters would come our way. How wrong we were! First, we watched as an old gentleman with walking poles climbed over the barricade and slowly made his way up the stairs, pausing now and then to take a moment. When he reached us, we greeted each other and I offered him some of my water, which he declined. (In fact, he seemed rather taken aback. According to my friend who’s been living in Vienna for five years, it is not in the culture to extend a hand out to random strangers.) He told us he was going to drink the meltwater from the Alps, which came out of a tap on the hill. Few minutes later, another silver in tiny green running shorts jogged down the steps. Indeed, the silvers were more mobile, more independent and more self-reliant than I had ever seen. I suppose when you have lived in such an individualistic society and prepared for a rather solitary retirement your entire life, you do tend to stay on your feet much longer. And with several contributing factors working in your favour, retired life could actually be quite adventurous. 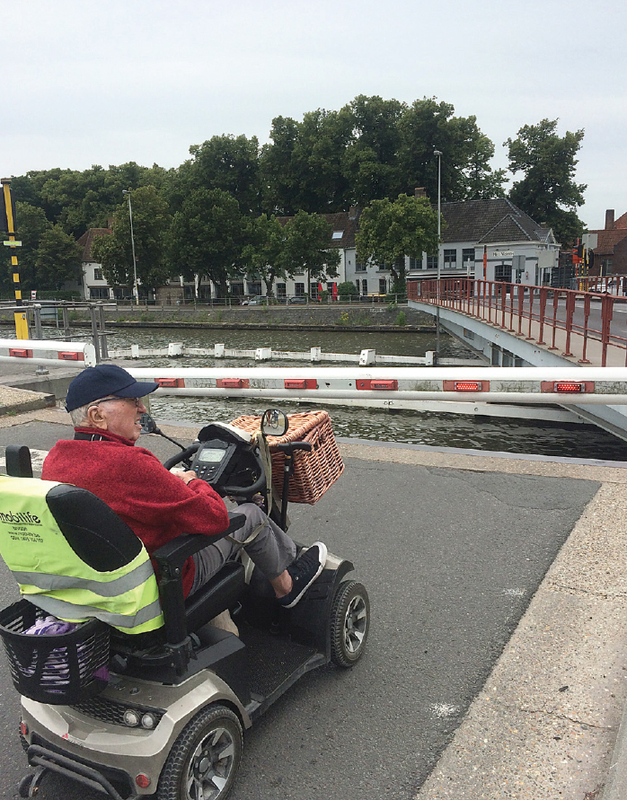 This idea was reaffirmed when, on the last day of my trip, a cute old couple slowly and steadily cycled passed me with embarrassing ease, as I huffed and puffed and shamefully pushed my cycle up a Belgian countryside bridge. Back home in Mumbai, as I stood at the zebra crossing that runs right into the elevated divider on that busy street, I came to the realisation that those coveted cycle lanes and the pedestrian right of way are distant dreams. As for silvers trying to cross the roads, well, we can certainly count on someone in the crowd to take their hand and lead them to the other side.